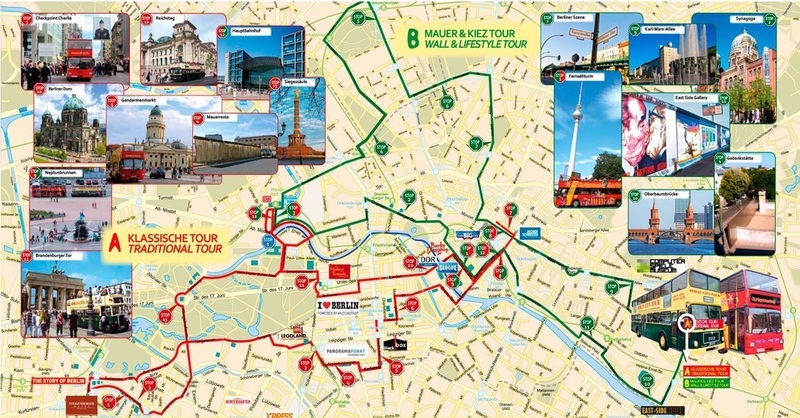 Discover Berlin at your own pace with the Berlin CitySightseeing Hop-On Hop-Off buses. Just board one of the buses on the route you have booked and then you're off to explore wonderful Berlin. 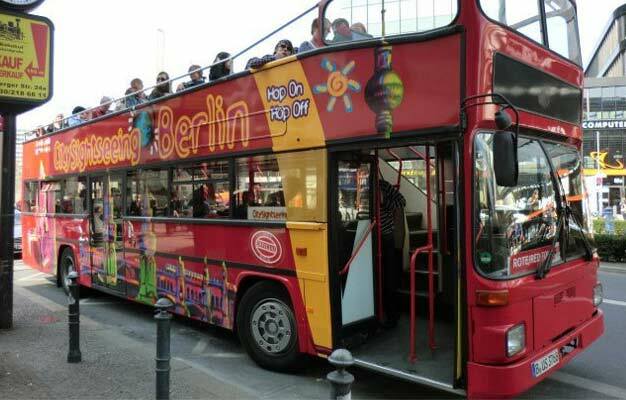 It's an easy, comfortable and a great way to see Berlin. 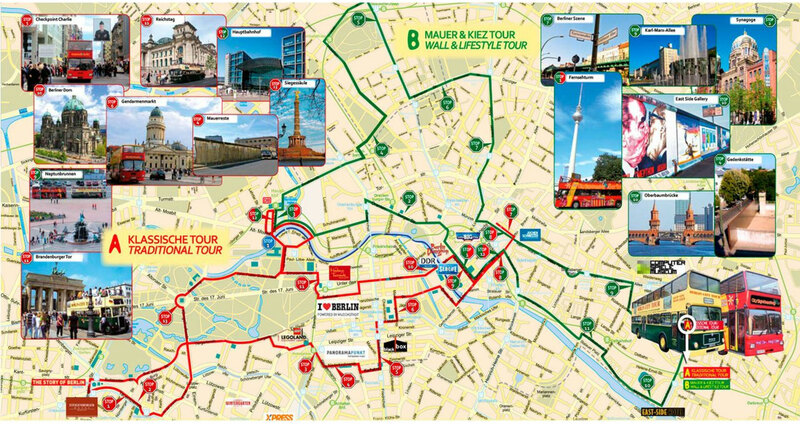 Discover all the major sights of Berlin on this classic tour. Brandenburg Tor, KaDeWe, Checkpoint Charlie and the TV Tower are absolute must-sees for anyone visiting Berlin! Audio guides: English, Spanish, French, German, Italian, Dutch, Japanese, Chinese, Russian, Polish, Swedish and Danish. Visit the Berlin Wall Memorial, explore an original WWII bunker, discover Prenzlauer Berg with its countless restaurants, cafes, and galleries or see the East Side Gallery, the longest preserved part of the Berlin Wall on our Green Tour. Just bring your e-ticket to the first bus you want to take, get your tickets and a detailed map of the different routes. Your tickets are flexible 3-month tickets, which can be used for 24 or 48 consecutive hours of unlimited travel. The buses run every 10-60 minutes, depending on the season.